Well, I started my cycle this morning and took a pregnancy test this afternoon in the event Dr. K asked me if I took one I could tell him I did. And it was negative. I had a feeling Tuesday night I would start today but of course I was hoping I would not. But, it is what it is and yes, I am disappointed. I called Dr. K's office to let them know. He mentioned trying one more time and I needed to let him know as soon as possible since he had me start Femara on Day 5 which would be Monday. He's out of town and will see the note first thing Monday morning with enough time to call in a prescription of Femara and I can start it that night. I am starting to change my mind a little about the laparoscopy if we don't get pregnant this next try. My first concern is doing something outside of God's will and wasting our time getting to God's will, but I also feel like I have only tried one time and if I don't try again or have the surgery I won't be giving it my all. I'd be quitting too easy, like I haven't really tried. I worry too much sometimes. We will continue to pray about it and we'll let you know here on the blog what happens next. Thank you to everyone for your prayers, thoughts and concern for us. We really appreciate it. Well, on Day 15 the IUI was performed. I picked up this huge box from the cryobank which contained the canister and carried it to Dr. K's office. Roger came about ten minutes after they told me they were starting the thawing process. It didn't take long and we were moved into an exam room. I got ready and on the table. I was a little nervous and Roger could see that in my face. He told me we could run out of there if we wanted but I just laughed as I took more deep breaths out. Dr. K came in with a nurse to assist him and we started the process. It was pretty much painless except for one sharp pain similar to the pain I felt from the HSG procedure which told me he was in my uterus. It was over before we knew it then he elevated my bottom half and told me to lay there for about ten minutes. He wrote some notes in my file then Roger started with the barrage of questions. I couldn't think of any questions just yet but Roger covered it all. And Dr. K again was more than happy to answer Roger's questions. He even pulled out a binder with diagrams and was showing us the procedure compared to natural conception. It was very educational. This is also when we asked him about what to do next. He told us to test at home in fifteen days. If we tested earlier it would most likely indicate positive because the HCG shot I was given the day before to release the egg remains in the system and could give a false positive on home pregnancy tests which tests for HCG. When Dr. K was done and left the room, Roger prayed over me and for us. His nurse came in a few minutes later to tell us I could get dressed and leave. It was a little strange of an experience but it should be since we were trying to conceive in a doctor's exam room and not in the privacy of our home. Plus it wasn't as fun as trying to conceive in the privacy of your own home. :) So we are waiting fifteen days to test which will be Saturday, January 1st. What a way to start the new year! The very next day, Roger had his first seizure in 3.5 years. When he started the clinical trial at MD Anderson he had to switch one of his anti-seizure medications because it increases liver enzymes. And increased liver enzymes affect chemotherapy so they would have to increase his chemo on the trial and they don't want to have to do that. So they switched it to a different anti-seizure med and have been keeping track of it in his system with his bi-weekly blood tests. But the levels in his blood have always been under where they would like to see them but he had not had a reason yet to increase the meds so they left them where they were. But good ole Dr. Conrad Roger's oncologist also prescribed him Ativan to keep on his person at all times in the event he started to have a seizure. So as soon as we figured out it was a seizure and not a toe cramp, he grabbed his Ativan pill on the night stand and put it under his tongue as he laid down on the bed while the seizure was working it's way up his right side. It lasted one minute longer and made it up to his lower back then stopped completely. That was pretty freaky. So it was only a partial seizure thank goodness. He felt loopy the rest of the day and sat a lot as his right leg was exhausted from the seizure. He left messages with his team at MD Anderson and on Monday they increased his Depakote and felt like that was really all he needed. They will continue to monitor the levels in his blood. But this answers one question we have had for a while. Roger will probably have to be on anti-seizure medications forever. Since the IUI I have been asked the same questions from people, "Do you feel pregnant? Do you feel different? Have you tested yet? When can you test?" At first I did not feel any different. Plus I didn't know what being pregnant felt like so I couldn't answer that one. But as I got asked over and over again I started to think more about, "Do I feel different?" That's when I started noticing small things. Then I remembered the counsel of a very wise girlfriend who gave me some great advice this summer when we had a few months to try naturally. She told me to be aware of my mind playing tricks on me and even making me think I am feeling or imagining pregnancy symptoms, that way I am not super disappointed when I am not pregnant. I completely understood her advice then because I have experienced my brain making me think I am feeling things when I am not or I am imagining things that are not. My lower back has been hurting. But I started working on my core again a couple weeks before so that could be from all the crunches and push ups I had been doing. It could also be lower back pain from starting my cycle soon. I have been really tired lately. But that could be from us staying up too late and just being lazy during the Christmas break. We drove up to Roger's family's Christmas celebration and as soon as I got in the truck I started to feel sleepy even though I had only been awake for a couple hours. But I start to get sleepy every time I get in a vehicle for short and long drives for ever... Nothing new here. I have had some small weird feelings on one side of my pelvis. I don't know how to explain those but again, my mind could be playing tricks on me. If my home pregnancy test is positive, I make an appointment for a blood test at Dr. K's office. If their blood test is positive they will test again in a few days to watch the numbers to make sure it is not an ectopic (tubal) pregnancy since there is a slight kink in my right fallopian tube. Once we get past this, I will then return to my ob/mid-wife practice. If my home pregnancy test is negative or I start my cycle, I also make an appointment to return to Dr. K's office to discuss the next step. So we'll test this Saturday and of course, you'll know here on the blog. And now you know how to pray for us. Thanks everyone and hope you all had a very Merry Christmas! Okay peeps, I'm going to get down and dirty with this. Had a long day and want to get to bed asap. Today was day fourteen. I took the Femara last week and had no side effects. Yeah! This past week I started to feel a little bit of lower back pain. Last night lower abdominal pain on the right side started. I had the ultrasound this afternoon. After an hour wait, I finally went back. Dr. K reviewed my HSG procedure films real quick with me and told me he wanted to try 3-4 IUI's and if I didn't get pregnant then we should do a laparoscopy of the right fallopian tube since it wasn't as open as the left to see if there was any scarring. I thought, maybe. I really wish they would have told me it was going to be an internal ultrasound. Not that it hurt, but that's not what I had envisioned. Anywho, Dr. K started but didn't like the position of my uterus. He said it was tilted. I have been told this once before by an Army nurse practitioner but I didn't give her much credit because she gave awful annual exams. Then he proceeded to move it. Didn't know that could be done. Must have worked because he continued with the ultrasound then I saw my eggs. Of course I had no idea that's what they were. So I started asking questions. If you know me well, you know I ask a lot of questions. Dr. K was cool about it. I think he enjoyed it. So it basically looked like a sonogram (see picture to the left for an idea. no this is not mine. roger wasn't with me and if he was, he would have posted a pic on facebook!) with one big round black spot that was split in three. I asked him if that was an egg and he said, "Actually that's three." I almost freaked out. I thought to myself, "WTH?! Three!" Then he proceeded to explain to me how he measured them to figure out how mature they were. He said only two of them were mature. That was just the right side. He announced he was going to the left side. He said there were two eggs in the left ovary. Again, I thought, "OMG!" But they were really small and not anywhere near mature. Whew! He asked me if I brought my shot with me to which I answered yes. He told me his nurse would give me the shot and I was to come back Friday at 3:00 pm with my frozen sample for the IUI. I asked him how many frozen samples I should bring with me. He said one but then asked me how many we had total. I replied nine. Then he told me we should do 2 IUI's and if I didn't get pregnant we should do the laproscopy because he didn't want to use up too many samples. It didn't dawn on me until I talked to Roger on my way home that Dr. K doesn't want to use up a lot of samples because he plans to try IVF if the IUI's don't work. But we forgot to tell him we don't want to do IVF at all. And after having the HSG procedure, I sure as heck am not looking forward to my fallopian tube being scraped out. No thank you. So Roger and I will tell him tomorrow at our appointment. If the IUI's don't work we decided we would pray about it but we don't want to do the laparoscopy or IVF. So the nurse gave me the shot and I am so glad she did it and not Roger. He was way too eager to stick me anyway. It was not pleasant. Then I had to call the cryobank to make arrangements to pick up a sample tomorrow. As I drove away from Dr. K's office I prayed a little bit because I started to feel a little nervous maybe scared. "What the heck am I doing?" crossed my mind once. I thought to myself, "Holly, fear does not come from the Lord." and just prayed for God to give me peace and if this was His will for us to take the fear away and give me peace. Can you tell I needed peace? I must have said it forty times in my prayer. I did have to start over a few times because traffic was distracting me. I know if I would have talked to a girlfriend I probably would have started crying. And I almost called one but decided crying on the phone driving on I-35 was probably not a smart idea. The questions I had for them were what is Femara and Ovidrel and how would we know when the actual IUI will be performed as I need to schedule with the cryobank for pick-up plus I was going to help a friend on Dec 17th as she recovered from surgery the previous day. Since my cycle is anywhere from 26 to 30 days now, the doctor suggested using a drug like Clomid to help ovulation become more precise since we have to do IUI to conceive and you really need to know when you are ovulating to be able to time the IUI. Well, Femara is basically the same as Clomid except better. From everything we read online, it doesn't have as many side effects as Clomid and it doesn't stay in the system as long as Clomid so it doesn't hinder conception. The next drug they mentioned was Ovidrel. The nurse had to call me back on that one but thank goodness again for the internet because by the time she called me back I had all my questions answered. In order to be able to time ovulation accurately to be able to know when to do the IUI procedure, they use Femara but the egg has to be released precisely also. That's where Ovidrel comes in. It's a shot that helps release the mature egg from the ovary. So here's how it goes down. At the ultrasound, Dr. K will check to see if the egg is mature and ready to be released. If it is mature and ready that day, he will give me the shot there at the office. 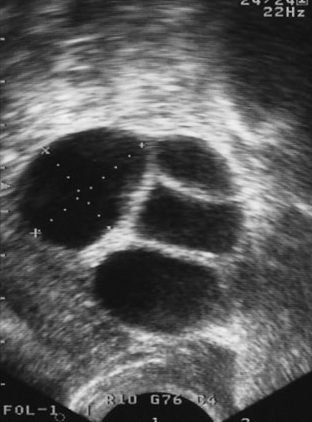 The IUI could be performed as early as the next day. If the egg is not mature and ready at the ultrasound, Dr. K will tell me when to inject the shot myself at home and then the IUI will be performed. Yes, this means I will have to give myself a shot or Roger has volunteered to give it to me. The online pharmacy that is mailing the Ovidrel shot to us has videos to learn how to inject the shot. We watched it and it seems easy. Then we got nosey and watched a few other videos for other fertility medications and almost scared ourselves.